Ok, for part two of our "Year End Review" we are going to take a look back at two of my favorite Family Portraits. 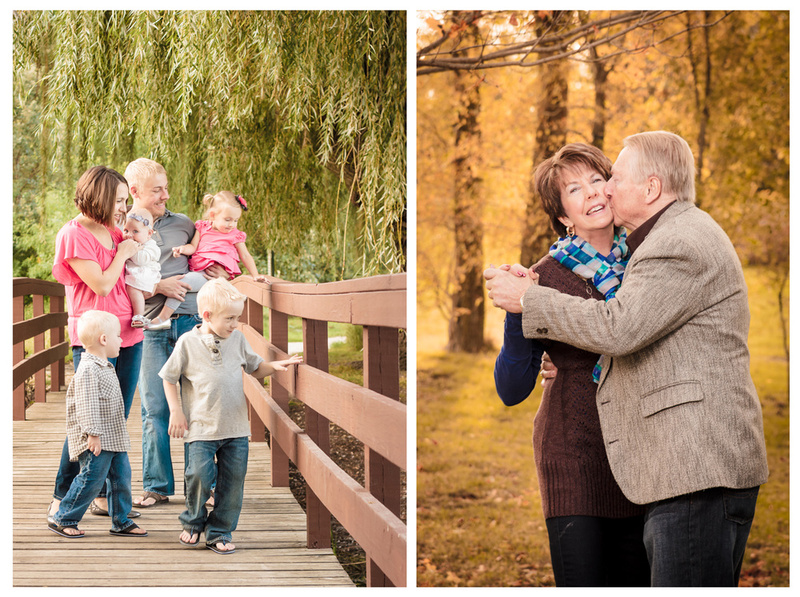 Family Portraits are always rewarding, partly because of how challenging they can be. I remember shooting my first Family portrait session and not really knowing what to expect. This is common with family portraits because, as we know, all families are unique. Some times it can be a family portrait of a couple with one child, other times it can be an extended family portrait of 22 plus dogs, and other times it can be a couple and their four kids, all of whom think they are super heroes taking on hundreds of bad guys! Sometimes it's relaxed and laid-back, other times it's an adrenaline rush. Either way, it is always a great experience, and a chance to speak uniquely about that family. This photo comes from a session I did with the Carter Family. This was one of the more relaxed Family Portraits sessions I did this year. This was largely due to the fact that The Carter's son is probably one of the happiest toddlers I have ever met, let alone photographed! For this session we decided to venture into the woods of Veterans Acres Park in Crystal Lake. On this day, the most challenging aspect of the shoot wasn't trying to get the attention of a toddler, but instead the fact that we were shooting in harsh noon sun. The myriad of trees can both help and hurt at this time of day by either providing nice shade or dappled light. Luckily we were blessed with two things for this photograph, a nice chuck of shade, and a big heartfelt laugh! To capture this frame we used a 24-70mm lens set to 50mm, F/2.8, ISO 200 and 1/160 sec. To fight off some of the highlights in the scene we set up a pop-up 24 x 24 soft box with an inner baffle of diffusion just above and to the right of the frame. This Family Portrait was done during a session where I also took a large family portrait of 22 People and two dogs! It was a beautiful Fall day with slightly overcast skies, so the quality of light was really nice. Now, this the first time I have ever taken a family portrait that included animals, and I was happy that both dogs were really well behaved. We took this portrait during the Fall and used the sun to back light the family. We then used a 32 x 24 inch soft box to light them from the front. It was taken with a 24-70mm lens set to 70mm, f/2.8, ISO 2oo, and 1/200 sec shutter speed. For fun, here are two more frames that get honorable mentions. I love these two because of the expressions. In one you have the whole family looking out over the pond with only the baby looking at the camera (if that isn't irony, I don't know what is!) and in the other you have one of the most genuine expressions of joy and love that I have scene on a couples face.